SEOUL, Jun. 5 (Korea Bizwire) — South Korea’s newly-elected president promised Friday that the government would take a more proactive role in tackling dementia, a mental illness that affects nearly one in ten elderly people in the country. 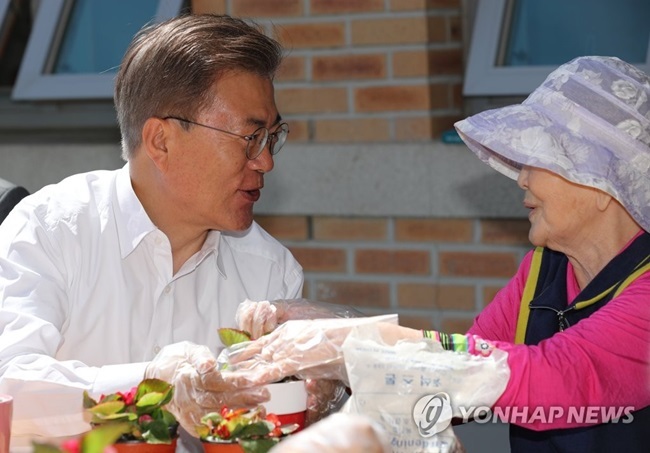 Speaking to family members and dementia patients during a visit to the Seoul Sanitarium and Hospital, Moon vowed to make sure that those enrolled in the national insurance plan have only to cover less than ten percent of medical costs when they suffer from dementia. 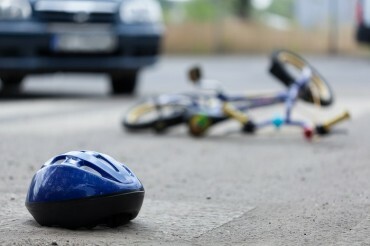 “Dementia is one of the biggest social issues facing the country. To make every dementia patient eligible for convalescent care, we must loosen the criteria and provide services catering towards each and every stage of dementia development from those suffering from a mild case to a serious one,” Moon said. He also revealed plans to extend the number of dementia care centers to 250, while the country currently has 47. Other plans included spending increases for dementia treatment, which will improve the working conditions of care workers and the quality of home care services. Moon’s decision to tackle dementia comes in the wake of a shocking prediction that more than one million South Koreans will suffer from dementia by 2024, with current figures suggesting that there are around 730,000 dementia patients in the country, accounting for one in every ten senior citizen. As the impact of an aging population begins to be felt on South Korea society, there is increasing public support for government intervention. In 2015, medical expenditures on dementia patients were estimated at 13.2 trillion won, accounting for 0.9 percent of the country’s GDP. By 2015, experts predict that the cost will jump to 106.5 trillion won, accounting for a whopping 3.8 percent of the total GDP. During the presidential campaign, Moon’s pledge to tackle dementia was among the most popular policy proposals, garnering over 100,000 likes on his official campaign website. Against this backdrop, the Ministry of Health and Welfare (MOHW) is set to announce a plan outlining a number of commitments and how they are to be implemented in detail by the end of this month, some of which are said to include building state-owned senior care facilities and hospitals specializing in dementia. 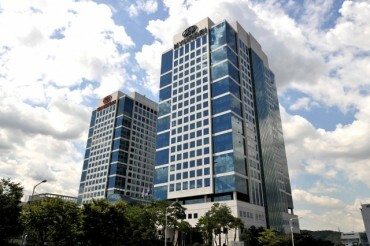 “We are going to build more dementia care centers, which will help prevention and early detection of dementia, while providing checkups and counseling services for family members, as part of our comprehensive efforts to establish an infrastructure in which dementia can be better dealt with,” Lee Dong-wook, the head of the department of population policy at the MOHW said. 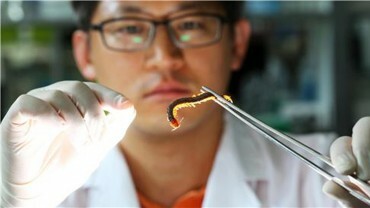 How Would You Like Centipedes in Your Cosmetics?